Jobs, Jobs, Jobs. That is the new buzzword on Capitol Hill. With unemployment rates of 10%+, politicians are finally focusing on a dire issue in this country. There is much evidence that suggests that the current economic crisis has given way to a rise in entrepreneurship. As employees nationwide realize that their jobs are not guaranteed, many are looking to own their own business as a way to be more in control of their destiny. In a recent Forbes.com article, female-owned small businesses, now just 16% of total U.S. employment, will be responsible for creating one-third of the 15.3 million new jobs anticipated by the Bureau of Labor Statistics by 2018 (as reported The Guardian Life Small Business Research Institute). Even better, women-owned businesses are expected to create 5.5 million new jobs across the U.S. by 2018. What do you think? 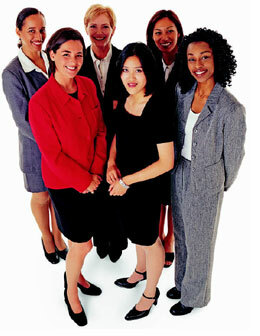 Do you think women-owned businesses will be run differently? What may be the larger implications on business in general? I’d love to hear your feedback.